I am in my early twenties - as I type this, I realize that this year I am actually officially in my mid-twenties - but for arguments sake, lets stick with early twenties, as this is when I started my skin care routine anyways. So as I was saying, I am in my early twenties, and have been following a fairly un-strict skincare routine for the past few years. When it comes up that I use some anti-aging products, many people laugh. Mostly people 40+ who think I am too young to be worrying about wrinkles. It is true that I don't have any tell tale signs of aging, but that doesn't mean I should worry about them! I am not so concerned about waking up tomorrow morning and having wrinkles, but I do think about my future, and try to take care of myself (more or less). If I can take care of my skin now, it will thank me once I'm older - I hope. There are a ton of anti-aging skincare products out there. Many even that are directed towards individuals like me, looking for preventative anti aging skin care, so finding the right one can be tough! I have tried several brands of skincare products, and was happy once I found BlackBox Cosmetics' skincare line. With Frost face wash, my face feels clean without immediately drying out my skin (unlike several other anti-aging cleansers which left my skin feeling tight and dry - not unlike my experience washing my face with bar soap). With Radiance AX, BlackBox Cosmetics' Anti-aging lotion, my skin feels moisturized and rehydrated. 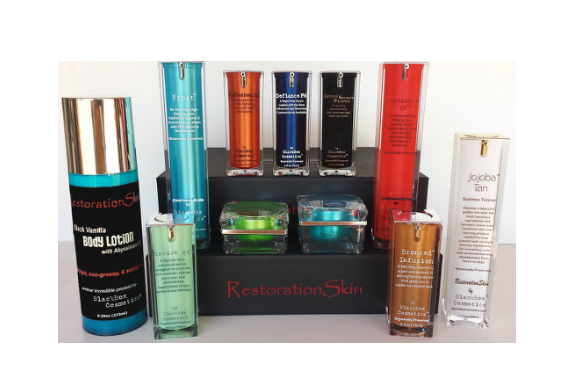 BlackBox Cosmetics has an amazing anti-aging skincare product line worth checking out; from cleansers and moisturizers, to microdermabrasion and serums. Hydration is one of the most common causes of visible lines and wrinkles. Think about it, fruit always looks so plump and juicy, until it runs out of moisture and then turns all wrinkly. It's not much different when it comes to our skin, if you keep your skin hydrated, it will look younger and 'fresher' for longer! Drink lots of water, and find a moisturizer that works! You would think that putting water on your skin would be a great moisturer, however, it actaully does the opposite. When you let water into your skin, it evaporates so quickly (because of our body heat and the environment around us), and it actually ends up taking our skins natural oils with it! Watch out for skin care products that have "aqua" or water as one of the first ingredients - water is free from our taps, so why would you pay for it...especially if it works against everything your buying the product for! A moisturizer that dehydrates your skin - sounds like a terrible oxymoron to me. You can hydrate naturally with aloe vera. Why do you think people rave about using Aloe on sunburns? The sun can be so harsh, and while the rays are busy burning our skin, the heat has us sweating out all of our body's moisture. We end up left with a dry, red, itchy, painful burn! 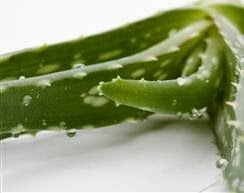 Aloe Vera is natures best moisturizer! It is absorbed into our skin easily, and because it is an organic compound that our body immediately recognizes, we absorb many nutrients from it like vitamin A, C, and E (unlike many complex man-made compounds that our bodies reject). BlackBox Cosmetics' skincare and hair care products are Aloe Vera based (not water based). This means your skin gets more of the nutrients it needs, and can stay healthy and young looking for longer!